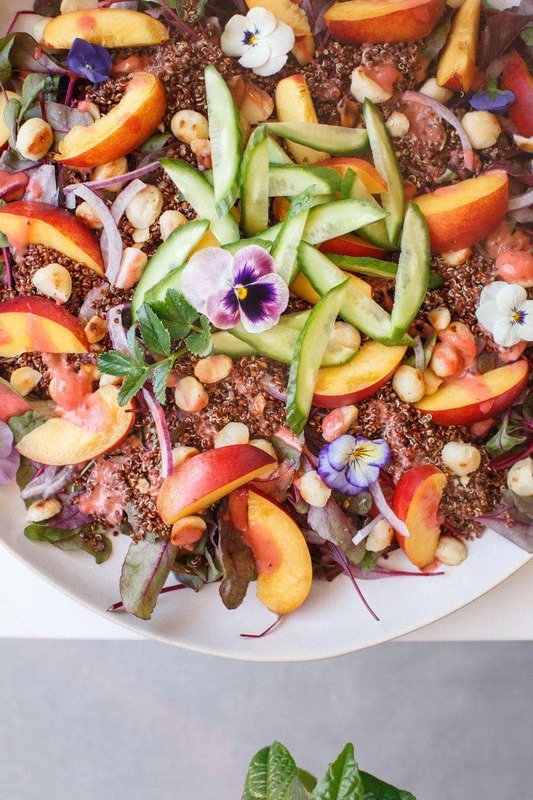 A beautiful summery stone fruit salad filled with juicy nectarines, beet greens, red quinoa, macadamia nuts and a tangy raspberry vinaigrette. 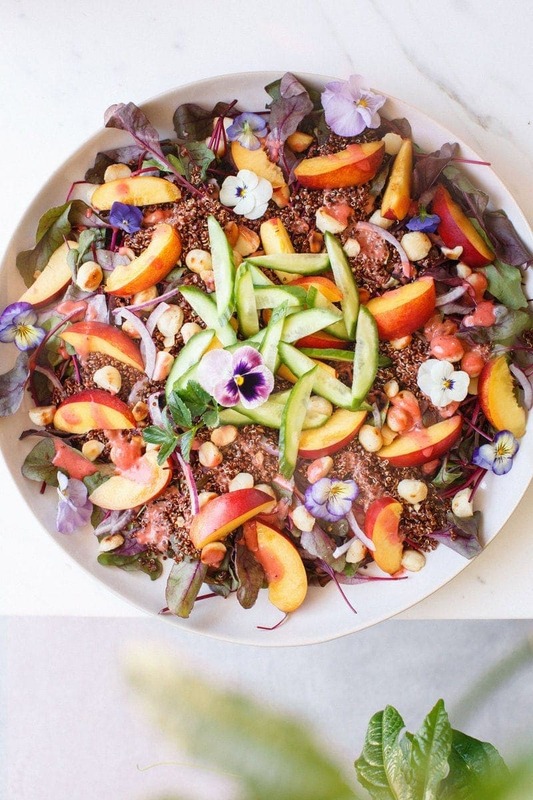 Summer = stone fruit! I can absolutely gorge myself stupid on fresh nectarines and peaches. The sweeter, juicier and messier the better! It reminds me of my grandparent’s orchard back in the day. They were one of the first to bring organics to the market, and produced a beautiful range of organic juices – I think they were ahead of their time as they had to turn back to conventional growing methods after a time, but man it was good. I was allowed to put stickers on the glass bottles and they always ended up crooked. 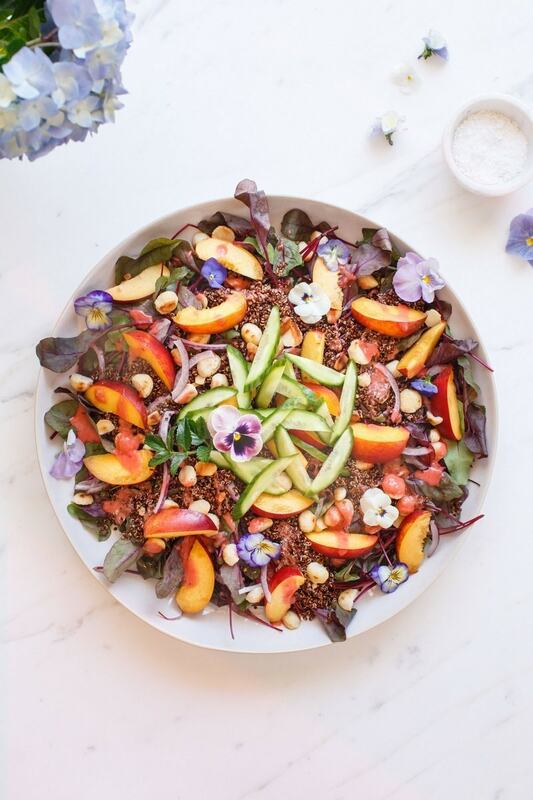 This is the most visually pretty summer salad, it looks a bit like a sunset on the plate – with the beet leaves, red quinoa, golden nectarines and hot pink raspberry dressing. 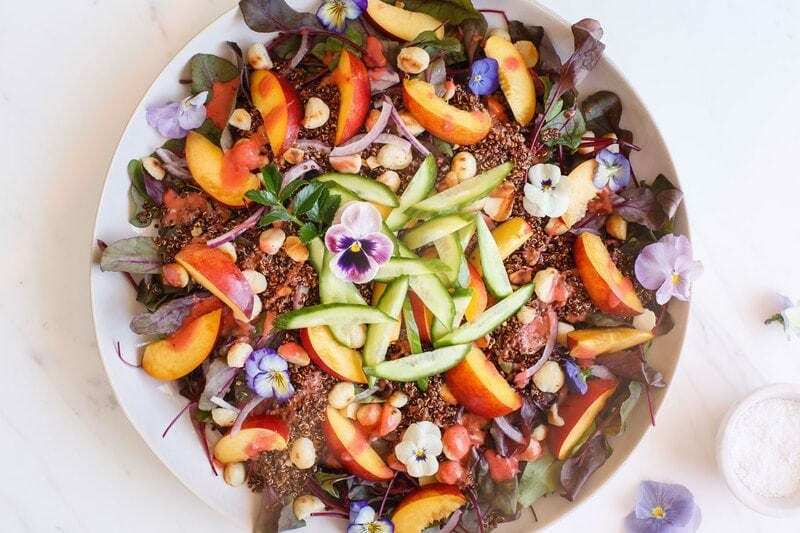 Nutritionally it is a phytonutrient powerhouse – purely from the richness of all that colour. The dressing is a twist on your classic raspberry vinaigrette. 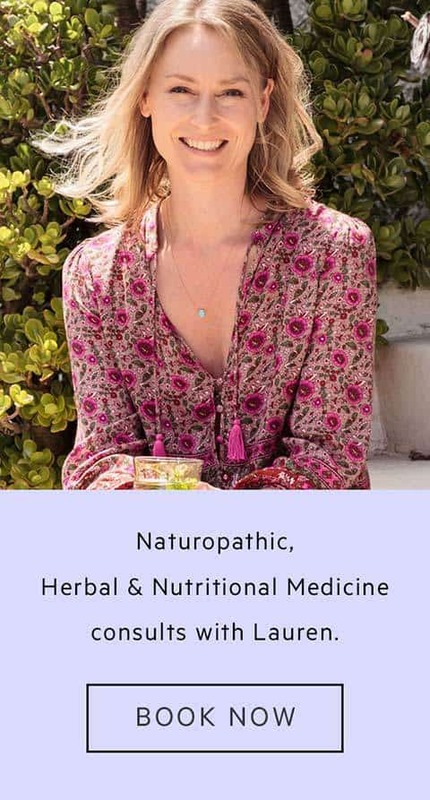 I started out trying to be a bit cool by using kombucha in there – fun idea but it lacks the punch you need to balance out the sweetness of the fruit. Instead, I went with the classic olive oil and balsamic combo, adding raspberries and a handful of toasted macadamia nuts – this is next level you guys, like eat-it-by-the-spoon delicious. Sweet, tangy, crunchy, and a little salty. Also – can anyone tell me why frozen and thawed raspberries taste so much sweeter than fresh?! That’s the only weird thing with this dressing – it worked far nicer using frozen over fresh, not that I mind – I always have a stash of berries in the freezer and those tiny punnets are so expensive. Enjoy friends, thanks for reading and see you next week – hope you’re starting to wind down for the year! 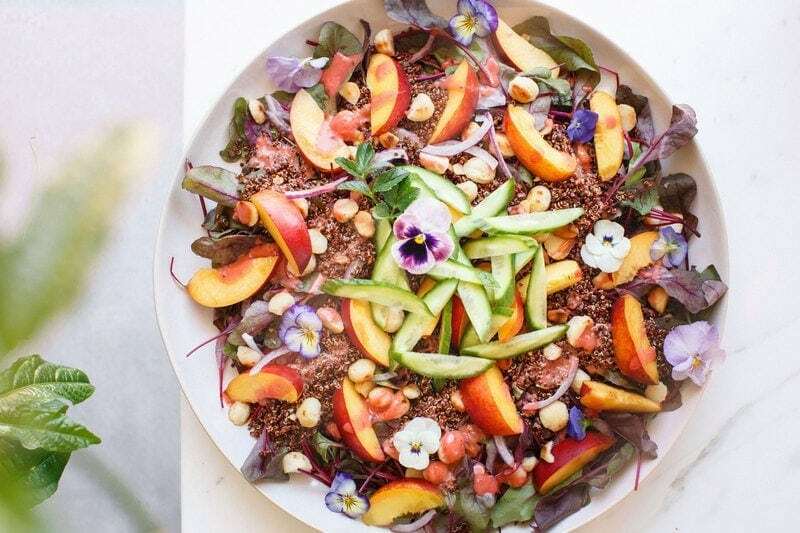 A simple Summer Nectarine Salad with Raspberry Balsamic Vinaigrette. 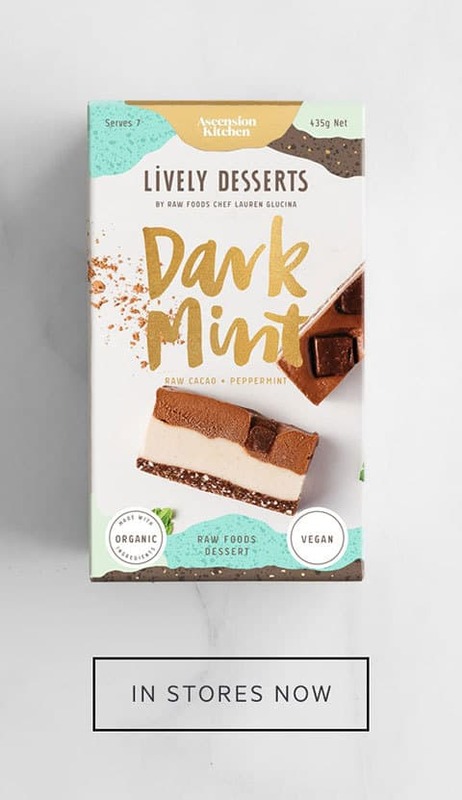 Naturally gluten free, plant-based. Start with the dressing – dry toast the macadamia nuts in a pan and add to a blender, reserving 1 tablespoon. Add all other ingredients and blend till smooth. Add the last tablespoon of macadamia nuts and blend again – the idea is to have some crunchy bits in there. If using lecithin, add this before you blend in the macadamia nuts. For the salad, wash and spin dry the greens, arrange on a platter and spoon a little dressing over the top. Rinse quinoa well under running water, then add to a pot and add a generous amount of water or vegetable stock for a richer flavour (I prefer the latter). Bring to a boil, reduce to a simmer, and cook till the spirals unravel. Drain, transfer to a medium bowl, dress with olive oil, salt and pepper, then spoon it over the salad greens. Dry toast the macadamia nuts. 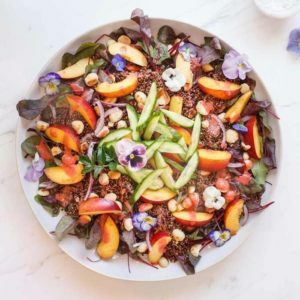 Cut the nectarines into slices or wedges, finely slice the red onion and cucumber or avocado, and scatter over the quinoa. Drizzle over some more of the dressing and serve the remainder in a small bottle so people can add to their liking. For some odd reason, the dressing tastes nicer with frozen and thawed raspberries rather than fresh - much sweeter!